Still waiting for my copy.. Good for Nintendo though! I'm so happy. I was worried it would flop as I don't think a Fire Emblem game has ever made the UK top ten before. Once again it proves that good games will sell, so Wii U's poor sales can't be blamed on the consumers. Wow I'm surprised it did better than Luigi's Mansion 2. Great news. I'm loving Fire Emblem. Its my game of the year so far. Last year we got KI: U and now this:) I wish Australia had gotten the FE XL bundle but I already have an XL so I don't need it. I rarely post, but have to say am pleased FE is doing well. I am yet to get it, but it's a guaranteed purchase for me. My favourite series of games ever, since the excellent Radiant Dawn got me hooked. Hope we get the DLC too, that would be amazing! We already have the first three DLC maps, and for a limited time (probably a month) the first is free and a bundle with all 3 is half price. Wow, never thought I'd see a Fire Emblem game in the top 3 of the UK all-format chart! I se a lot of people saying this is their first FE game. Great news for the franchise, hopefully it will get more popular. Great to know the game is going well! Great game, glad it's getting the recognition it deserves. Beating Luigi's Mansion though? Nintendo couldn't of expected that! I've already sunk 18 hours into this masterpiece since Thursday. Make the top 10 your home, Fire Emblem! I still need to get this game...maybe for my birthday. Fantastic news, when I get some spare cash, I'll be picking up my copy. Hope the popularity of this title will mean that Fire Emblem will have forever success on these shores. Hopefully it sells well all across Europe, the game is fantastic, I'm loving every bit of it (and of my FE 3DS XL). 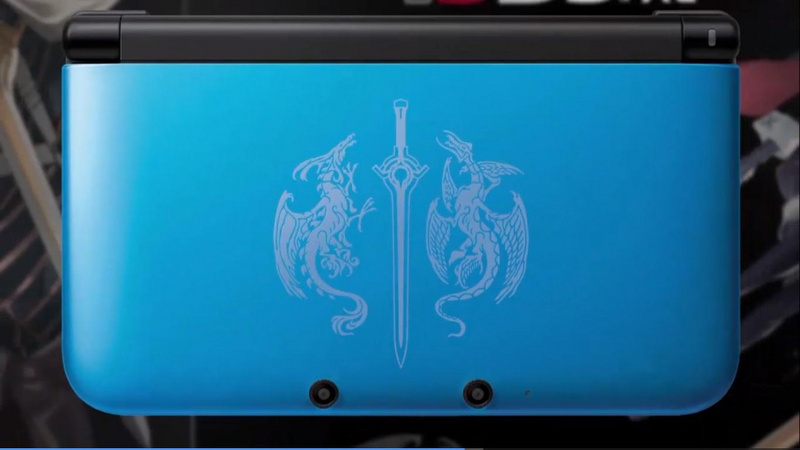 They definitely did well in bringing a limited edition 3DS XL along with the game. Well if I could find it in a shop I might buy it. Fire Emblem Awakening certainly deserves the success it has received and more 3DS sales is always a good thing. I have to say I'm so surprised, in a country where the only games that people seem to play are call of duty sing star and fifa I'm so surprised to see this make it into the top 10. TBH I would have even been surprised to see it in the top 40. Guess people are finally opening there minds to othe types of genres of games. I'm holding off until next year, probably. Nonetheless, still glad to see another 3DS game on the top 10. Yeah, this is fairly incredible news. I picked up the last copy on launch day from my local game store. So I was already suprised it was selling well. You know why this has happened? Oh yeah I'm absolutely loving my copy! I have ordered my 3DS XL Fire Emblem limited edition. This game is single reason I am buying a 3DS at this stage. Can't wait!